“American Sniper” Author, Retired Navy SEAL and American Hero Chris Kyle, 38, Fatally Shot at Rough Creek Lodge & Resort Gun/Shooting Range in Glen Rose, Texas | DefenseReview.com (DR): An online tactical technology and military defense technology magazine with particular focus on the latest and greatest tactical firearms news (tactical gun news), tactical gear news and tactical shooting news. 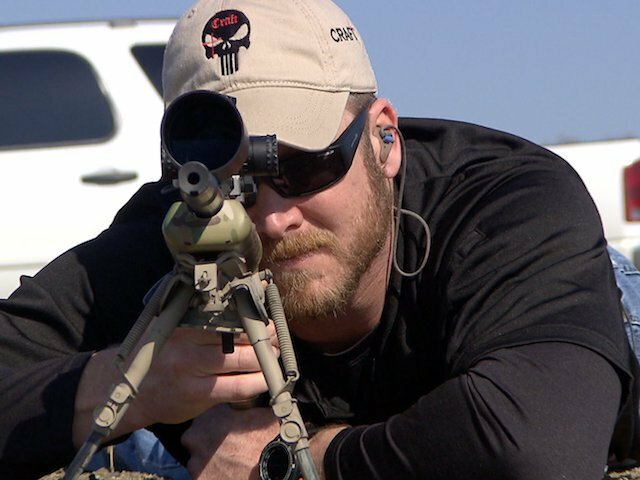 It's being reported that retired Navy SEAL marksman/sniper Chris Kyle, author of the book American Sniper and owner/chief instructor of tactical training firm Craft International, was fatally shot yesterday afternoon at the Rough Creek Lodge & Resort in Glen Rose, Texas by one Eddie Ray Routh of Lancaster, Texas. Routh, 25, is reportedly a retired Marine suffering from PTSD. It's being reported that he was caught and arrested while fleeing the scene, after a brief pursuit. Frankly, I can't believe I have to write this. I just can't believe this happened. First, I just met Chris for the first time at the very tail end of SHOT Show 2013 at the Kryptek Outdoor Group (KOG) booth while he and the guys were relaxing and having a beer. I made it a point to shake his hand, and enjoyed meeting him, however briefly. He was a big, strong guy–and skilled. Second, we all just lost John Noveske of Noveske Rifleworks. Kyle wasn't the only man shot and killed, according to reports. The other man was 35-year-old Chad Littlefield (according to reports). The fact that the two men were shot and killed together, and the alleged killer fled the scene, makes it appear that they were murdered, not accidentally shot (unconfirmed/unverified). And, since this happened in Texas, justice will most likely be served. DefenseReview (DR) certainly hopes so. A court will now decide Routh's fate, and whether PTSD is a valid excuse to shoot two people, one of them an American hero, in cold blood. PTSD or not, he's a definite danger to the public, and obviously shouldn't have been walking freely amongst us. While this is just another example of the mental healthcare breakdown in this country, the U.S. military must also be introspective about the multiple combat tours to which our military personnel are now subjected, often times not by choice. A person volunteering for multiple tours is one thing. Someone being forced to do this is another. Also, treating PTSD suffering combat vets with firearms/shooting is probably not the best approach. By definition, PTSD sufferers are not in their right minds all the time, and firearms are obviously dangerous in the hands of a mentally unstable person. PTSD is a documented form of mental illness. That written, I don’t yet know many of the details of this shooting. While no one should ever be gunned down in cold blood, it's particularly painful when it happens to a war hero like Kyle, who survived multiple combat tours, being shot twice in combat, multiple IED explosions and an $80,000 bounty by the enemy. Our condolences go out to Chris' and Chad's families and friends. We're very sorry for their loss, and our thoughts and prayers are with them. I’ll try to update this story as more facts emerge, and as I decide to say more things about it. In the meantime, if you're going shooting, make sure you carry a quality loaded pistol on your hip in a quality holster, loaded with quality ammo, at all times–and maintain your situational awareness. Previous: Gen-2 Lancer Systems L5 Translucent Advanced Warfighter Magazine (AWM): Truly-Translucent Polymer 30-Round AR-15 Rifle/Carbine/SBR Mag!